The possibility of LEGO releasing minidolls based on DC characters has caused some to be concerned that LEGO will release less female minifigures based on licensed characters in the future. I decided to do some research using BRICKSET in order to learn just how many female minifigures based on licensed characters LEGO has already released. Even if there are multiple versions of a character, I am only counting that character once. Polybags, Juniors, sets that don't include minifigures, special combo sets and sets that haven't been released at the time of this writing have been excluded when tabulating the amount of sets containing female minifigures. Since DC's news is what caused these concerns I'll start with them first. Female minifigures can be found in 13 out of 35 DC themed LEGO sets. Harley Quinn and Poison Ivy are tied for being in the most sets, which is 3. Female minifigures can be found in 13 out of 36 MARVEL themed LEGO sets. Mary Jane appears in the most sets, which is 5. Phoenix and Spider- Woman are promotional exclusives. Female minifigures can be found in 20 out of 51 HARRY POTTER themed LEGO sets. Hermione Granger has been in the most sets, which is 14. There are over 400 SW sets. Female minifigures can be found in 48 of them. Princess Leia has been in the most sets, which is 18. Female minifigures can be found in 10 out of 16 INDIANA JONES themed sets. Marion Ravenwood has been in the most sets, which is 5. Female minifigures can be found in 3 out of 9 POTC themed LEGO sets. Each character appears in only one set. Female minifigures can be found in 5 out of 26 TOLKIEN themed LEGO sets. Tauriel beats Arwen and Galadriel, appearing in 2. PRINCE OF PERSIA: Princess Tamina is the only female character, appearing in 2 out of 5 POP LEGO based sets. Red Harrington and Rebecca Reid are each in 1 of the 6 TLR LEGO themed sets. AVATAR: Katara is the only female character, appearing in 1 out of 2 AVATAR themed LEGO sets. Marge Simpson appears in 2 out of 2 THE SIMPSONS themed LEGO sets. Female minifigures appear in 12 out of 21 THE LEGO MOVIE themed LEGO sets. Wyldstyle is in 6. SPEED RACER: Trixie is the only female minifigure appearing in 1 out of 4 SPEED RACER themed LEGO sets. TOY STORY: Jessie is the only female character, appearing in 3 out of the 9 TS themed LEGO sets. So there you have it. If my math is correct, altogether LEGO has released 80 different licensed female characters in minifigure form. I have excluded Scooby Doo and Jurassic World because BRICKSET doesn't have the characters in their database yet. I did a similar study a few years back, but for all the sets out for that particular year. Back then I looked at sets look you had, but also female to total female minfig data. The data on the Marvel and DC sets are fascinating, since it definitely has a higher percentage of sets. I have not bothered to look at overall minifig percentages. Based on that, I did look at the numbers you had for Marvel... The numbers I found are slightly different, but I am looking at the data a bit differently. Of the 13 female characters, two are promos as you mentioned, and one is from the early 2000 Spider-Man sets. Of the 5 Mary Janes mentioned, 4 of those are also from the early Spider-Man sets, along with 10 out of the 36 sets. Mary Jane is only in one recent set. I came up with 5/10 of those early Spider-Man sets having a female minifig, and 9/26 sets as what is labeled more recent Marvel in the data base as having female minifigs. Per your numbers, that is 14/36 of the lifetime. I find it interesting that the early Spider-Man sets had such a high percentage of sets with female minifigs. I do like breaking down those numbers a bit more, since when I hear Marvel, I really am thinking of the releases of the past few years, and I had not considered that the numbers included those very early 2000 releases. I also think the more recent sets are more pertinent for discussion than adding in sets that were release over 10 years ago. If I just look at recent Marvel set there are 26 sets, and there are 8 unique female minifigs. If I remove uniqueness, there are 10 female minifigs in 9/26 sets. There are 97 total minifigs in those sets (not counting microfigure), so 10/97 female minifigs. If I include the early Spider-Man sets into those numbers I have 9 unique females, but a total of 13 female minifig occurrences and in 14/36 sets. There are 13/138 female minifigs out of all the characters. Just looking at the early Spider-Man sets, though, 5/10 sets have a female minifig and 5/41 characters are female minifigs. Doing a quick look at recent DC sets, there are 10/22 sets that have female minfigs with 11 minfigs total and of those 11, 8 are unique characters. There are 11/84 female minifigs per total minifigs in those sets. Anyway thanks for the post. It has been a while since I looked. I will say that I found the data, especially for recent DC/Marvel sets, fascinating. Both line include a far larger number of unique females compared to themes in the year or two I had looked. Past numbers I have seen were far lower (whether licensed or unlicensed) For Marvel, in 1/3 sets we can find at least 1 female minifig, which is reasonable compared to many of the lines when I last looked. I am most impressed with DC sets, though, since they are nearing 1/2 sets having a female minifig. Harry Potter was the only thing I had found that came close to that when I had last looked. (Recent release) The overall female minifigs to total minifigs is still quite low. (Around 10%) DC is a bit higher, but it is still very low, and in that one can see why a line that targets more of the overall minifigs in a line to female superheros may be very appealing to the girl market. LEGO can't be held totally responsible for the small percentage of female characters in licensed themes. For example: the only female superhero in THE AVENGERS (movie) is THE BLACK WIDOW. There are five male superheroes, IRON MAN, CAPTAIN AMERICA, THOR, THE INCREDIBLE HULK, and HAWKEYE. (I'm not counting Nick Fury or Maria Hill) Even in the upcoming AVENGERS 2, THE BLACK WIDOW still seems to be the only female superhero. So I decided to take a look at a series that LEGO had total control of, CMFs, series 1 through 13. The LEGO MOVIE and THE SIMPSONS or any other outside CMFs are not included. Keep in mind that each series has 16 figures. I can't afford him so MR. GOLD doesn't count. Just for fun, also keep in mind that I am using the official LEGO names of these characters according to BRICKIPEDIA. You'll find out why at the end. SERIES 1 started with 2 female minifigures and by SERIES 13 the average number is still 5 out of 16. Also, as a fun aside, 11 of these characters are wearing pink as a primary color. Looking for more female Lego figures? are all other CMFs males, or some have no gender? PaM allows the "evening" of the ratio if you will, though they're not packaged minifigs. well, at least I didn't get the impression that female minifigs were hypersexualized (what would be the point anyway, lol?) unlike criticisms I can see about video games for example. Themes are built to market towards males or females. If you really have a big issue with gender of Minifigs remember that the lovely thing is that you can take a head on put it on any body, and give that body any hair or hat you want. Adding the particular data point of female minifgis to total minfigs I think it is a pertinent data point to look for evaluating any future change. It also gives a far fuller picture. It is why I personally like looking at both the data point of sets of a theme with female minfigs, but also the female minifig/total ratios. I also liked the added data point captured above in regards to how many individual characters are there. I also think looking at female minifigs to the total is interesting insight/data that only adds to the story as to why DC is looking at a theme aimed with girls in mind. Obviously with a 10% ratio, they are really marketing the sets towards boys, and with the genderization of toys, that can very much steer away girls. It is only more data to me that shows why DC is looking at doing a focus on a female superhero theme to gain female market share. I really was not expecting a higher ratio, but I also had not looked at what the data was on these two particular lines until now. If anything, I was pleasantly surprised by the set ratios at 1/3 for Marvel and 1/2 for DC. Now, If we want to talk about responsibility, there are times Lego shares culpability in licensed sets. The lack of Eowyn or a female minifg in the first LotR wave was an oversight. I do think there are times they could do something as simple as add in just one more instance of a character. For example, having Black Widow appear in a second set would have been nice for people that did not want Quinjet. I believe most other Avenger characters appeared at least twice. (hulk may not have until later, but I do not quite remember.) . That would have been a very simple thing they could have done that would not have caused boys to flock away, but would have allowed an extra opportunity. There is at least a new Black Widow coming out. Now, the minfig data is always interesting. I also had looked at that earlier. What I had heard at one point is that they were getting a strong influx of female interest on the CMFs, which is why the number jumped up on the female minifigs from the early sets. The one data point missing in your minifig data is the percentage each of those characters are found within a box. . It was probably about 4-5? series back where most females CMFs dropped down to the lowest percentage range. I think this data is pertinent, because without it one does not get a full sense of what is happening with the female CMFs. It it is interesting to see, since one can see that Lego upped the diversity by having around 5/16 females, but did eventually lower the overall percentage. While I was not a fan of that, I have also found that I have yet to have an issue finding the females we want. It seems a reasonable compromise on Lego's part if it means we do get to keep that 5/16 numbers to have the diversity. One datapoint I have never bothered to calculate is the percentages on the minidolls. part of that is because it is a DUH that they (especially Friends) very highly skewed. I did do a quick look at the Lego Elves when it first came out, and was shocked at the numbers. 50% of the sets had a male mindoll. They were 30% male (3/10) and 33% unique characters were male (2/6). For a set geared towards females it actually had a high male percentage. The new sets coming out, while skew these numbers down, though, since neither set has a male character. Anyway, I found that data interesting, since I always thing of the minidoll sets as highly female skewed, and yet the ratios were surprisingly solid. i agree. but only if the data also includes the minidoll themes as part of the total ratio tabulations. cherry picking the themes that are obviously going to have the worst male/females ratios - and often intentionally so based on the target demographic and source material - then using that data to bemoan less than ideal diversity, is biased and unfair. Lego has decided that they are going to appeal to the girl market primarily through minidolls. A lot of AFOLs don't want to accept that fact, but it is reality. I think every CMF has a gender. As lego writes a bio on each, they tend to use "he" and "she", thus giving them gender. Of course, quite a few could be either gender. LEGO can't be held totally responsible for the small percentage of female characters in licensed themes. Also on this front TLG are doing better at including those female characters better than a lot of other merchandise licence holders - particularly clothes maker. I think you are completely missing the point, and there are a number of erroneous assumptions in the above. A) Nobody is cherry picking here to present a skewed picture. C) Nobody here has used the words biased and unfair. D) Nobody here has stated anything about fact vs. reality except in the post above. "The possibility of LEGO releasing minidolls based on DC characters has caused some to be concerned that LEGO will release less female minifigures based on licensed characters in the future. I decided to do some research using BRICKSET in order to learn just how many female minifigures based on licensed characters LEGO has already released. Even if there are multiple versions of a character, I am only counting that character once." Since this was all initially came out of the DC change, where the actual concern people had was not that LEGO as a whole would release less female minifigs, but of the potential of less female minifigs in the DC line, I thought it was pertinent to look at THAT particular line in question. Since Marvel it the other superhero line closest to DC, it also makes sense to look at that particular line to see if it is similar to the DC line in question, and to set a reasonable 'bound'. This means if DC has a set ratio around 50% sets with female minifigs, and Marvel has a set ratio of around 33% with female minifigs, then even if there is a drop in DC set ratios with it dropping down to 33%, then I would still call it within a typical superhero range as opposed to DC actually putting in less female minfigs. This data wasn't looked at to say "Hey, let's look at a line that is geared to boys and slam Lego." It was looked it because the entire post line and there was data missing to actually analyze that line. Yes. We have definitely experienced this issue with t-shirts. It is actually one reason I am excited for the new DC line, although with a target age of 6-12, it will definitely skews to young girls. I disagree. once the post started sprawling out of the realm of the specific DC issue, and became more generalized in regards to female minifigure ratios as a whole, then the picture being painted is indeed skewed by the fact that data from the lines most heavily populated by female figures is not included in the conversation. It also gives a far fuller picture. It is why I personally like looking at both the data point of sets of a theme with female minfigs, but also the female minifig/total ratios. yet, you don't include the lines with the best female ratios in your female/total ratios? namely, creator, city, friends, princesses, and elves. That's a completely inaccurate analysis of the data. so much for "far fuller picture"
relevance? I never claimed otherwise. But it is clear that their is a contingent of AFOLs who refuse to accept the minidolls and don't count them in the data, which paints a skewed picture of the overall male/female breakdowns. And I'm sensing some of that same sentiment in this thread. The reality is, in 2015 the ratio of female to male figures is higher than it has ever been before when you look across all themes with figures. Fair enough. That will be interesting to see. I think that a corresponding drop in female figs in the DC line is certainly possible, and in a lot of ways would make complete sense for LEGO as well. If you have a whole other line full of wonder womans, catwomans, etc, then they will probably do less of them in the minifig line. this is good business strategy to not dillute your own sales. Of course, a lot of the ratio among the DC line may be tied to movies, etc, and thus will be highly dependant upon the source material. maybe not originally, but it turned into that in this thread, at least partially, as it does in every discussion about female figures. Point B) , is my favorite one. 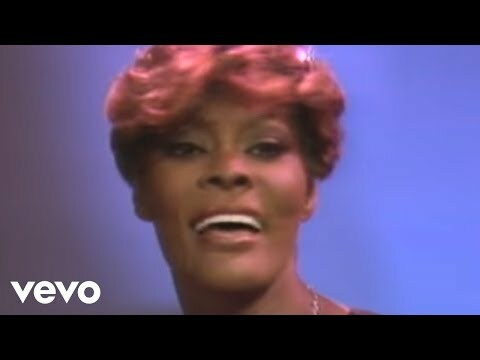 Better toss in a tarot card from the #71000-9 Fortune Teller if we're talking about Dionne Warwick. Hello, all! It's always interesting to see how people respond to things. I'd like to respond to the responses. Please, please, please do not read this as if I'm trying to be defensive or sarcastic . The catalyst of my original post was the BRICKSET article "DC Super Heroes Girls announced; LEGO sets to follow next year". Reading the responses, you can see that some are concerned that LEGO won't make the female characters in minifigure form that they still are hoping to be made if LEGO starts making super hero minidolls. In fact here is a quote from the responses to that article. I don't say who it is because I don't want them to think I am attacking them. I don't believe I'm taking them out of context. "If these figures are going to be minidolls, does that mean characters such as Power Girl, Cheetah, etc. no longer have a chance to be produced in minifigure form? If so, this announcement is NOT my cup of tea." Another response to this article was, "Please, please Lego, no minidolls, we want minifigs, boys and girls alike". Then if you read all of the responses you will also see the issues of gender and toys that have appeared time and time again, or at least they have in some of the threads on BRICKSET forum I recall reading. So, I came up with the idea of trying to discover just how many female minifigures LEGO has made. To make it simpler I researched just how many licensed female characters were made. I tried REALLY HARD not to put any personal feelings or sarcastic comments in that initial post but to just state the facts, and I think I succeeded. My initial idea WAS to actually go through EVERY LEGO theme and count how many female minifigures there are in each line but just doing the licensed characters made for a pretty long post so I decided to break it up and do the CMFs separately. I haven't continued because I wasn't sure if anyone would want to read anymore or if I was just annoying everyone. I will admit that I couldn't resist playing the Devil's advocate a little when I posted about the CMF line. Once again, all of the information I gave are facts. I was poking fun at LEGO a bit by putting a spin on some of them, but I wasn't trying to bash them. I apologize if it was construed as such. "maybe not originally, but it turned into that in this thread, at least partially, as it does in every discussion about female figures." dougts, if the above is what you are thinking, then you are having a different conversation than what I am having here. I will repeat, I am not having a conversation about global female minifig ratios. I was looking and analyzing the DC/superhero data. "yet, you don't include the lines with the best female ratios in your female/total ratios? namely, creator, city, friends, princesses, and elves. That's a completely inaccurate analysis of the data. so much for "far fuller picture""
I really do not get it. Of course I would not be including these lines in the discussion, because I am NOT actually having a discussion about the global female minfig ratio! I was looking at the DC/superhero data because the concern expressed is that it may go down. Now, if I was doing a global analysis, especially since we now have a number of female lines, then yes, I would want to look at all sets. I am not sure what creator, city, friends, princess or elves has to do with dc/superhero data. If We saw that the set ratio went down in future DC sets, that actually does not mean anything by itself. First, one really wants to look at the more recent line data, since there can be changes in marketing over extended periods of time. By looking at the Marvel and DC numbers, one sees a range of 33%-50% ratios. If DC numbers went down to 33%, I would not really call that a significant drop. To really get a better idea if change occurs, though, one needs to also start looking at female ratios in these two lines. For example, a Drop to a 33% range may be also seen as a 'drop', but as we can see in both Marvel/DC, the overall female minfigs are at 10%, so again....one can't simply look at sets if one is trying to determine a drop in the future. Right now they are both around 10%ish. Are you taking umbrage at the fact that I'm saying that is low/bad? I am giving a data point. Yes, I do see the number is low/bad, but I'm not saying that as sweeping indictment against Lego, their marketing, gender. I'm saying that mathematically. The number is low. This thread was not about saying I want the number higher, or about whether I agree or disagree about marketing and theme reasons for that number...all of which you seem very much to be reading into what I'm saying. I'm simply saying that yes, 10% is low. If I had a 10% chance of getting a chocolate chip cookie out of a bag of cookies, my odds are bad/low. That doesn't say whether I like chocolate chip cookies or not, or what I FEEL about that percentage. The thing is yes, the number for these sorts of lines in the past is that historically more boy oriented themes have lower numbers. At a 10% range, both the DC/Marvel lines are in accord with that. That is also useful data to know to understand future drops. If a line is above more historical norms, then if it is at a 35% percentage of females and drops to 30%, that really may be in the noise, while if a line is already very low and has typically been low, and drops even lower, then that drop does become more significant. Finally, uniqueness, is also a key factor, and one aspect I have not looked at before, and I'm glad the OP pulled it out, because uniqueness can be a factor that is dictated by theme. If a theme includes a bunch of unique characters, and then misses some unique characters in later iterations, even if it keeps the set ratios and female minfig ratios similar, it still does speak to an overall drop. Considering that many AFOLs do go out of their way to collect unique minifig characters, a drop in uniqueness in female characters, would indicate an overall drop, and after looking at the data, is one reason I actually do not think we will see a drop on the female minfig percentage in the DC line. Lego/DC still will want to nab sales from those that are going after uniqueness on the minfig side. I think what we could see, though, is a drop in the set percentage. They may not feel they need a 1/2 set percentage, when they are marketing a line towards females. I could see it dropping more towards the Marvel range of 1/3, but keeping the 'around 10%" figure for minifigs. Again... nope. If you are reading any case of Lego being slammed, then you are reading that into what is actually being said. Chuxtoybox, I actually enjoyed the minfig data. The 'pink' statistic I thought was hilarious. I imagine an important number is the number of times the female characters appear as major characters in storylines in the comics / graphic novels (or more likely just in the films, as that is what most licenses are based on). If they are not important Marvel / DC characters, then they have no more need to appear in Lego form than bit part males. I am glad there are less female mini figs. Girls are the number one transmitter of cooties. And I don't want my lego figs getting cooties at all! Female characters are starting to have a more "bit part" in the marvel movies it seems to me. @Solarious - Damsel in Distress type plot points really irritate me, probably more than any other story writing cliche! Can't say I agree re: Black Widow, I thought her role in AoU was respectable and well-rounded - but it brings up a point in general that I feel is worth looking at: not just whether there are female characters/minifigs, but what they're doing. As you say, the Damsel in Distress angle - to reminisce a bit, it did stick in my craw somewhat back when Agents first came out that in #8633 (the first one I bought) Trace, the female agent, is dangling from manacles while Chase, the male, is coming to the rescue - moreover only Trace had the alternate 'in peril' fearful expression on her head (you can take it as read that on my shelf it's her darned speedboat now). Fair play to them, Trace was sauntering around unscathed in #8637 while Fuse was hanging over the lava pit; I bring it up as an anecdotal example, not to suggest a pattern. What I'm actually thinking now is that, from what I've noted of late (which is far from comprehensive, admittedly) while the female characters still tend to be the one or two tokens on otherwise male teams, they're being presented in an egalitarian fashion. Ashlee in Galaxy Squad's flying her awesomely-beweaponed rocket tank, Caila in Ultra Agents is jetpacking around (and even while Hydron's in what could reasonably be termed a support role, 'supergenius' isn't anything to scoff at), Speed Champions has a couple of women among the crews. Even the Friends sets I've noticed while leafing through the catalogue, firmly aimed at the young female market, along with the obligatory salon they've got hot air balloons and vet clinics (and am I wrong in thinking someone was flying a rescue helicopter last year?)... there's clearly more to that world that buying dresses and cooking meals. In general, I feel even taking into account things like the percentages in CMF waves (and '-girl' names and pink and such), Lego's not doing too poorly in that regard - when they're creating the 'story', better than plenty of other media companies. I don't think it's unreasonable to exclude Friends, Princesses, and Elves from a conversation about "New Minidoll theme may lead to decline in female minifig production". It's not at all unreasonable to consider the Minidolls and Minifigs separate species, and to bemoan the fact that most of the female characters produced today are Minidolls and most of the males are minifigs. Even if you ignore the stereotypical gender roles in the Friends line and in the City theme, you still have a situation where the males and females just don't match. I personally would have preferred the Friends theme to use minifigs from the start; that would forestall most of this debate because the themes would be fully compatible, so you could take the Friends and make them into police or firefighters or storm troopers and it'd be easy. Or you could build whole families of moms, dads, etc, out of a mix of Friends and City. Or you could mix Prince of Persia and Jasmine, or Arctic explorers and Frozen, and you wouldn't have these mismatched figs and dolls. And the new DC superheroine line would fit exactly in with the existing DC superhero theme. Minidolls are like new grey. Sure, they're fine abstractly (not perfect), but the biggest problem is that they don't look good with the old grey (minifigs). And since, in this case, the old grey and new grey are still produced simultaneously, this leads to a growing problem, whereas the old grey disappeared with time and lots of current Lego fans don't even get my reference. I don't think it's unreasonable to exclude Friends, Princesses, and Elves from a conversation about "New Minidoll theme may lead to decline in female minifig production". Even if you ignore the stereotypical gender roles in the Friends line and in the City theme, you still have a situation where the males and females just don't match. While I agree the numbers don't match, I don't think it matters too much. When girls get their own series / themes / sets, I think it only right that boys get theirs too. The "boy sets" should not have too many girl friendly elements thrown in just to make them more gender neutral, when the same thing doesn't happen for the "girl sets". Lego research has shown that many girls favour the minidolls to minifigs. I don't know what boys prefer as we don't have enough male minidolls to see whether they pick those up instead of minifigs. But I have seen girls favour minidolls over minifigs. I personally would have preferred the Friends theme to use minifigs from the start; that would forestall most of this debate because the themes would be fully compatible, so you could take the Friends and make them into police or firefighters or storm troopers and it'd be easy. The problem there is that Lego's research says otherwise. Girls (that didn't play with lego/minifigs) do play with the minidolls. If they released more female minifigs, then it may not have lead to more customers. Those girls that didn't play with the existing female minifigs probably wouldn't play with the new female minifigs. Whereas there is a better chance that those girls would play with the new minidolls. I'm not so sure about that analogy. New vs old grey was a change in an existing product. Minidolls vs minifigs was a new product line, aimed at attracting a new type of customer. I don't think lego gained new customers by going from the old greys to new greys. I don't think having a female only superhero line in the Friends style minidoll will affect the distribution of minifigs. They go pretty much off popular characters in films mainly, so tend to include what is popular, irregardless of gender. It may be that the sets are then geared towards "damsel in distress" type sets (like Lex Mech Suit) as this appeals to boys, but again I don't see the problem. It is easy to switch the minifigs around so that Wonder Woman saves Superman. I cannot see them not including Wonder Woman or Harley Quinn in a future minifig based set, just because they are in a minidoll set. I also don't really see the problem with a purely female only line in minidoll form, if that is what attracts girls to buy it. They've done it with the Princess line, removing all male leads with a few token bit-part males, and it seems to work well for their sales. In the Joker Land set Harley Quinn is actually the aggressor and hanging Robin by his feet on the tight rope. Not only is the female not a victim, she is now the victimizer. Should we applaud this change in gender dynamic by Lego then? She is a baddie in the license, so she is a baddie in Lego. It doesn't matter whether she is male or female; she is a licensed character doing what licensed characters do in the storylines. Superhero fans will want her, just as if they would want the character if she was a he. I don't really see lego changing that. The minidolls will be made to mimic whatever DC decide to put in the supergirls line. They are essentially separate lines. One is the old style core SH stuff, the other appears to be a female dominated alternative universe aimed firmly at girls primarily through marketing of toys. If DC decide that there are no longer any female characters in the the core DC line, then I would expect lego to change the make-up of the series, having fewer (zero) females in the lego sets - this would be mimicking the DC line though. However, that would be stupid on DC's side if they did that. Lego's market research only reflects that the market is sexist. There is no evidence that girls do not want to play with minifigs and only want to play with minidolls. Arguably the problem is that Lego has spent so many years ignoring the girls in their advertising and products that people have internalized the notion that regular Lego is for boys only, instead of being a unisex toy. Given the hole they dug for themselves, it's not surprising that Lego finds it easier to just make dolls for the girls rather than try to figure out how they could solve the problem better in a long-term way that doesn't divide their universe into two incompatible systems. ^ from what I understand, Lego play tested traditional minifigs and more realistic figures, and girls that tended not to play with Lego preferred the more realistic ones, which went on to become Friends. So to capture new market share, they make figures that appeal to this sub set of girls. 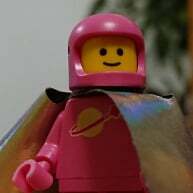 Didn't Lego design the buildability of minifigures to make them any gender, any job, any theme you could want? And they were yellow to eliminate race? So, how is a toy company that clearly does market research sexist or racist? Lego's market research only reflects that the market is sexist. There is no evidence that girls do not want to play with minifigs and only want to play with minidolls. they could solve the problem better in a long-term way that doesn't divide their universe into two incompatible systems. Several years and millions of dollars of market research by LEGO concluded exactly the opposite of what you suggest. And new (female) customer sales the past three years have backed them up. There is a mountain of evidence. You just wish it wasn't true and choose to ignore it. The whole fuss over minidolls is sadly typical of AFOLs. Complete misunderstanding of just how well Lego's system really works. Yes, you can use anything from a Friends or Elves set with your Star Wars. What's more, you can combine Scala and Belville and Bionicle and Galidor and Duplo with your "proper," "normal" licensed minifig themes! Just because you don't like it or understand how it works doesn't make it "not real Lego." And Lego makes way more money and devotes a hell of a lot more resources to stuff like Friends and Duplo than the UCS vehicle in the background of some scene in the original trilogy of Star Wars for three seconds that "completists" who don't even like it will shell out for anyway. You people should all LOVE minidoll themes. They're growing Lego big enough that it can support a fringe periphery demographic like adults. The fact that Lego did market research doesn't prove that Minidolls are more girl-friendly than minifigs. That's one possible explanation. Another is that girls have already been socialized to believe that their toys should be a certain way, and they reject the minifig due to inherent prejudice, which Lego could address by better marketing. Or it could be due to chance; what was the p-value of their psychological experiments? Also, to what degree was the mini-doll's figure determined by how girls played with it, vs how adults (who make purchasing decisions) perceived the product? Until Lego publishes details about how they determined that minidolls were better than minifigs for girls, the simplest explanation that I see is that the toy market is sexist, and Lego just wanted to cash in on the female half of that sexist market, because they'd managed to fail to do that properly for 20-30 years due to factors both in and out of their control. Market research doesn't absolve you of sexism or racism. It's not a magic bullet. In fact it only works if you first acknowledge that we live in a sexist, racist society, and set a goal to do better than the status quo, and then conduct your research appropriately. Otherwise, you're at best perpetuating the current level of racism and sexism. And if you don't think we live in a racist, sexist society... well, I don't have time to explain why you're wrong. @MrShinyAndNew please o please o please tell me why the world is racist and sexist? I have yet to see that our laws, policies, and behavior as the populous at large actively discriminating ppl based on either of those. Do you even know what those words mean or do you throw them around as the hipster things to do it are you covering up some guilt? So let me educate you on a few things: Males and females are different. There are some amongst the sexes that like Lego, some like minidolls, some want the dad to work or the mom, some have homosexual parents, others have heterosexual ones. Lovely thing about Lego is that if a female child was playing with Minifigs and had mom getting ready to go to work, she could grab the construction body and put moms head on it and its off to work. If a boy wanted his minidoll family to be more traditional and have mom at home and dad going to the lab to work with his female colleague, well there ya go. Are you not aware that study after study shows that at a young age kids dont see sexism or racism, real or fabricated until someone puts it in there face? You can't say our society discriminates based on a few people. And if you are referring to families that raise their children based on traditional gender roles... so the heck what! Mine your business. If you think that is an issue than you, my friend, are the bigot. Discriminating them based on their beliefs. Lastly, a toy company (if you didn't know) is in it for the money. If you truly want to believe they are racist and sexist... Fine, whatever. Keep this in mind, the non licensed minifigure is yellow to eliminate race. They are also modular so they can look however you want them to based on available part. Research showed boys like them more than girls. Does that mean girls can't play with them? See above comment. TLG also employees plenty of men and women of all ethnicities. So, please o please... Educate me on how they are discriminating. Otherwise, you are just perpetuating the ignorance that is causing things to be taken things too far. Why does the reason girls prefer more realistic figures to blocky, abstract ones even matter? It's not LEGO's place (or really, anybody but a caregiver's) to tell kids what they should or shouldn't like. This is often lost in the "nature vs. nurture" debate. There might not be any genetic reason why many girls like more lifelike figures, but that doesn't mean that they should be [i]discouraged[/i] from liking more lifelike figures. Pretty much ALL kids' preferences come from their experiences and their stimuli, but that doesn't make those preferences illegitimate. You could just as easily say that boys have been socialized to EMBRACE the minifigure due to inherent prejudice against more doll-like figures, and that LEGO should be working to discourage that. The minifigure has advantages over the mini-doll, like wrist movement and individual leg movement, and a decades-long portfolio of alternate parts for customization (like peg-legs, hooks, short legs, mermaid tails, and alien heads). It also has some significant disadvantages, like its blocky, awkward proportions (any builder of 6-wide vehicles can tell you how hard this makes it to seat two classic minifigures side by side), its lack of realistic facial features, most of its outfits being flat 2D patterns, and that any 3D skirts prevent the figure from sitting down. It's nobody's place to say that the minifigure's disadvantages shouldn't matter to anybody but the mini-doll's disadvantages should. We LEGO fans tend to worship the minifigure as a perfect example of toy design, but frankly there are people who prefer other types of figures, and there's nothing wrong with that. LEGO is a building toy, and the figures are merely tools that help you role-play within the worlds you build. Not only are the figures largely compatible, but even if they weren't, the type of figure is usually only a small part of the sets' building and play value. Here's a question everybody can ask themselves: would you still be mad at LEGO if they had completely discontinued the minifigure in favor of the mini-doll? If so, then you should realize that it's not just the perceived segregation of the market that's shaping your opinions on the mini-doll, but also the idea of LEGO catering to an audience that you aren't a part of. All LEGO fans, not just the girls who prefer mini-dolls to minifigures, are shaped by our experiences. We "have been socialized to believe that our toys should be a certain way". And for those of us above a certain age, that is typically a way that leaves no room for a more lifelike figure with detailed eye patterns, molded noses, or curvy torsos and legs. ...or condemning all play themes because LEGO should not be in the business of "scripted" play scenarios of any kind, and should stick solely to basic bricks. All of these arguments are based on a narrow-minded and unrealistic ideal of what LEGO is, has been, and should be. An ideal that the way we grew up, and the LEGO we grew up with, was generally purer, more wholesome, more imaginative, and generally better for kids than any other way of growing up, or any other type of LEGO product, could possibly be. It's an elegant lie, and a timeless one, because people have been reminiscing about how much better things were in "the good old days" since the dawn of history. Why does everyone point to the minidoll when talking about gender discrimination instead of the very gender specific color pallets, occupational choices for characters, and choices for set theme (mall, smoothie stand, ect)? Does market research perpetuate stereotypes or does market research reflect existing stereotypes? To quote a sagely scotsman: "I eat because I'm sad, and I'm sad because I eat." I think the criticism is silly in that I don't see the same criticsm for the Barbie empire. The bottom line is that Lego Friends is wildly successful, an incredible growth market and an IP boon. I have a Batman minifig that enjoys spending time in a certain pink hot air balloon and eating bananas on a yacht. As long as he's happy, so am I. The real answer is, because most of the AFOLs who complain about minidolls have a minifigure complex and think anything not minifigure = bad. But anyway...you could also complain that the blue police cars chasing down robbers in vehicles in your average City set is "stereotypical" or "generic" or "kiddy." If anything, the "girl themes" provide greater diversity of locations and characters--from the science teacher to the hotelier to the spa technician--and the liberated colour palette which, while it has pinks and purples also has yellows, greens, blues, etc. etc. are more internally diverse than anything the male-oriented lines have to offer. "I only work in black... and dark grey." @MrShinyAndNew please o please o please tell me why the world is racist and sexist? I have yet to see that our laws, policies, and behavior as the populous at large actively discriminating ppl based on either of those. Seriously? You must live under a rock. Just look at how often black people are murdered by the police in the US. Just look at the world-wide wage/income gaps between men and women. Consider that studies have shown that people with white, male sounding names considered for academic positions more often, and people with male names are perceived to write better scientific papers. Consider that orchestras have changed their hiring practices so that you can not see the performer because the hiring team had been unconsciously discriminating against non-white-male performers, despite being supposedly a meritocracy where the only thing that mattered was how you played instruments. This is a tiny sample of the ways our society is still plagued by racism and sexism. In many cases the sexism or racism may be unconscious or subtle but it is definitely there. I'm gonna pop some popcorn and just watch. Well, the racism comments are neither here nor there. If someone else wants to make a thread purely about the races of flesh-tone Lego minifigures...though I suppose that would be all licensed sets, and therefore not entirely Lego's fault, right? I realize that the sensationalism that we call news likes to have a field day every time a person of color dies at the hands of a police officer. However, calling it murder is a bit much, especially when in most cases the facts seem to bear out a different story. It speaks to YOUR bias that you would even make such an inflammatory statement. I would be far more concerned with the number of murders that people of any color commit within their own communities than the occassional tragedy of a felon dying while resisting arrest.